North and South Quilt published in Handmade Magazine and now available as downloadable pattern. 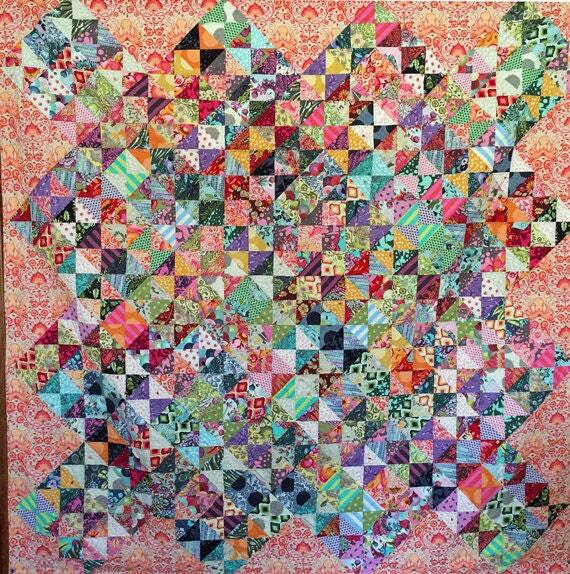 This pattern features 50-100 different fabrics from Tula Pink. This is a great scrap buster use as many fabrics as you want. The project would be suitable for beginner to intermediate quilter.